The start of each new quarter is a great time to self-assess accomplishments on last quarter's goals and double down for great execution. Beware three behaviors that undermine goal achievement: 1) too many goals and objectives to come anywhere close to achievement, 2) too little attention to goals after they're set, and 3) inability to compare the value of goals set with new requests and opportunities that arise. It's easy to add bullets to a PowerPoint with goals but incredibly hard for a team to achieve more than 2-3 truly material results in a quarter. In Q3, ruthlessly prioritize and hone in on the one thing that really must be achieved to make your year and your quarter. Add the second most valuable outcome, one stretch goal, and stop there. Resist the pressure to list anything that is immaterial, that you can't come close to achieving , or the team lacks the capacity (or discipline) to achieve. Use revenue, customers, profit, market share or other clearly material metric to define goal achievement. How much does achievement of these particular goals matter? These metrics quantify the value of goal achievement, and that becomes the bar that all other activities must exceed to get your time and your team's. If other activities aren’t quantifiably more valuable, don’t take time away from goal achievement. Check out this tool kit on defining and communicating goals and metrics; it can help prompt thinking through the goal setting process and provides a ready-made template for communicating to the team. Messages and distractions overwhelm even the best teams; without relentless focus it's easy to devolve into executing on our inbox instead of our goals. To break this bad habit, schedule weekly meetings to reiterate goals, agree to truly important work that week, and report status at the end of each week… relentlessly. It’s much easier to hold each other accountable and share common intentions when everyone is clear on the goals and OKRs and how their work ties to its achievement. Use status reports rather than staff meetings to communicate progress made; in weekly meetings, celebrate prior week achievement, adjust course and clarify the next tranche of work. We're all measured by our execution against goals, so focusing your time and efforts is essential. There's so much noise in email, chat, irrelevant alerts and personal social media, goals are harder than ever to see and achieve. 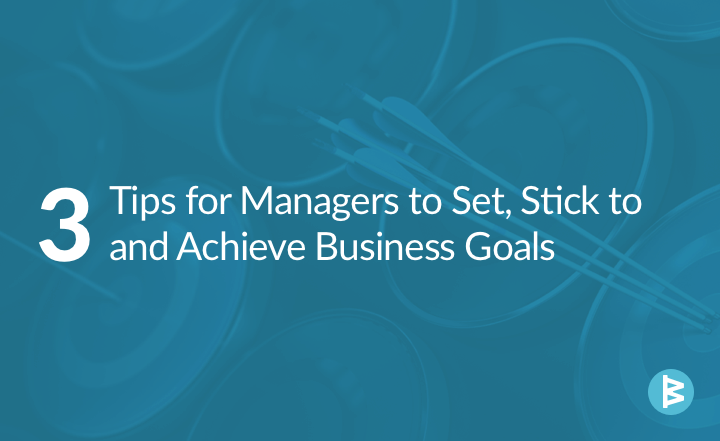 Try committing to fewer goals but laser-focused execution — it may be a shift in habit and some may resist, but the rewards of achieving goals and OKRs with a wholly engaged team will be gratifying for all. Here's to a great quarter!